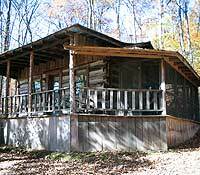 Each Historic Cabin has been completely restored with antique decor. 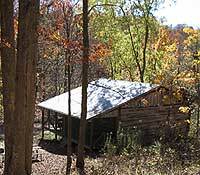 "Cabin Beneath the Oaks" (sleeps up to six). Handicapped accessible. No smoking is allowed indoors, but you may smoke on the screened-in porch. 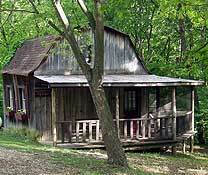 "Cottage of Cuddling" (sleeps up to three). Children under 5 years old prohibited. Outdoor hot tub! No smoking is allowed indoors, but you can smoke on the deck.